The preamble to the United States Constitution reads: “We the People of the United States, in Order to form a more perfect Union, establish Justice, insure domestic Tranquility, provide for the common defense, promote the general Welfare, and secure the Blessings of Liberty to ourselves and our Posterity, do ordain and establish this Constitution for the United States of America.” This landmark document was quickly followed by the Bill of Rights, and the two together form the foundation of the greatest superpower in the modern world. The Bill of Rights establishes the fundamental liberties guaranteed to all U.S. citizens, among the first and most significant of which is “the right to bear arms,” outlined in the Second Amendment. Over the years, the right to bear arms has been called into question, the true meaning debated, and the underlying issues becoming the source of highly contentious debates among Americans on both sides of the political spectrum. With adversaries invoking mass shootings and gun violence as arguments against the right to bear arms, supporters point to the framers of the U.S. Constitution and the principles upon which this country was founded. It has been difficult to reach consensus with regard to the true meaning, intention, and application of the Second Amendment, but America is indeed a republic, which allows the states significant discretion in determining the gun laws that apply within their jurisdictions. As a result, your gun rights and responsibilities can dramatically change based on where you live, work, visit, or even travel through. New Jersey is a prime example of the implications of gun policy, enacting some of the strictest gun laws in the nation with stringent requirements for gun owners and a policy of extreme enforcement against weapons offenders. So, how does an average American exercise their gun rights without violating the law? And what do you do if, for some unfortunate reason, you are accused of a criminal offense involving a weapon? At The Tormey Law Firm, it is our purpose to provide the knowledge and resources that you need to enjoy your rights in full compliance with New Jersey weapons laws, and when necessary, to provide the most comprehensive and vigorous defense for those charged with weapons offenses. With members who previously served on behalf of the State prosecuting gun offenders, we utilize or unique insight to construct the most innovative and effective defense strategies. Our New Jersey weapons defense team includes several former gun prosecutors, one of whom served in the weapons forfeiture unit of the Morris prosecutor’s office, multiple attorneys who held positions in the U.S. Attorney’s Office, and highly acclaimed attorneys who have established a reputation for excellence through their many successes in Superior Courts across New Jersey, including in Bergen, Morris, Essex, and Passaic counties. 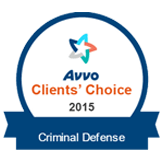 Our firm’s founder, Travis J. Tormey, has received the Avvo.com Client’s Choice Award every year for the last four years and was recently named among the Top 10 Criminal Attorneys in New Jersey by the American Jurist Institute. Whether you have been charged with unlawful possession of a weapon, possession of a weapon for an unlawful purpose, a certain persons offense, or another weapons crime, or you are seeking the return of your weapons in connection with an alleged domestic violence incident, our seasoned New Jersey criminal defense attorneys are poised to attack the State’s case in pursuit of the best possible outcome. Our criminal trial team is composed of former gun prosecutors and experienced criminal defense lawyers who are intimately familiar with the legal system, firearms offenses, and all of the potential defenses that may apply to your case. For instance, John Graves, one member of our team, served in the weapons forfeiture unit at the Morris County Prosecutor's Office. 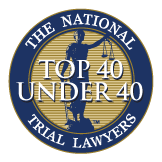 One of our partners, Christopher Perry, served as a judicial law clerk to a criminal trial judge in Bergen County, where he learned the nuances of gun trials. Chris has successfully handled numerous gun cases for our clients in courts throughout New Jersey, including in Bergen County and Essex County. He was also recently featured in The Bergen Record as a legal authority on gun rights in New Jersey. 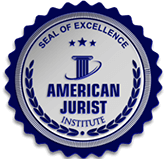 Finally, our managing partner, Travis J. Tormey, was recently recognized as one of the Top 10 Criminal Lawyers in New Jersey by the American Jurist Institute. 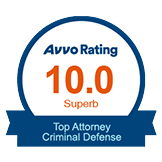 He has a perfect 10.0 attorney rating on Avvo.com and has received their Client's Choice Award every year for five straight years. 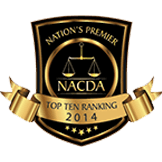 Overall, we are the team to have on your side when dealing with a gun or weapons related issue in New Jersey. Brent DiMarco is an experienced criminal and DCP&P defense lawyer who has handled thousands of cases in his distinguished career. 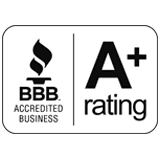 Before joining the Tormey Law Firm LLC, Brent worked for several DCP&P defense law firms handling all aspects of child abuse and neglect litigation. In addition, he worked for a criminal defense firm and clerked for a criminal law Judge in Hudson County. Mr. DiMarco graduated with honors from Rutgers University and New England School of Law.